Looking for an Instagram scheduling solution that can also help you up your hashtag game? 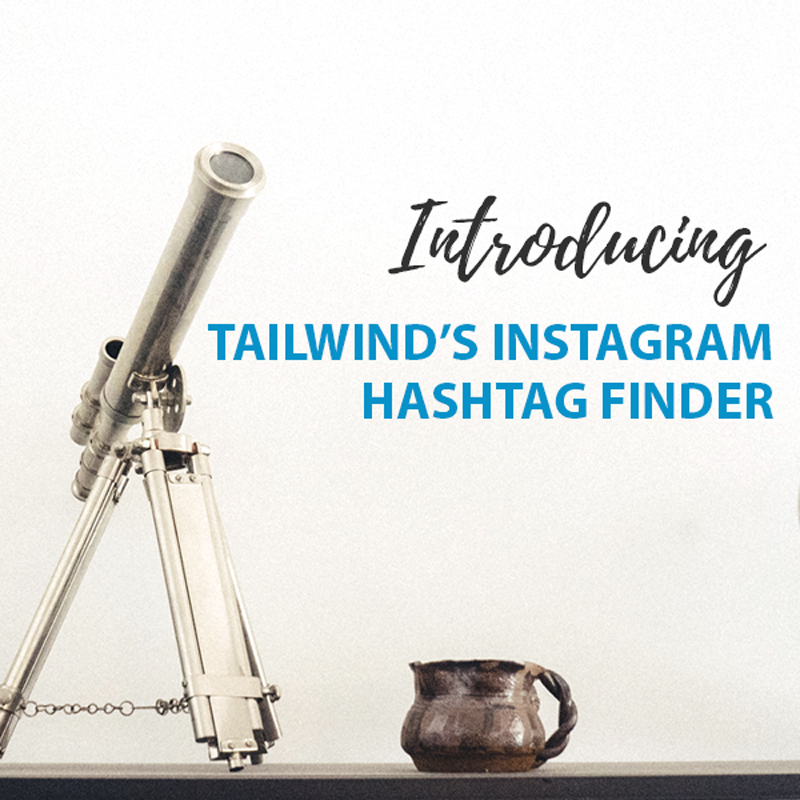 Check out these 4 reasons to use Tailwind for Instagram with new Hashtag Finder 2.0. As a blogger, we’re kind of expected to be on each and every social media network and have a lot of followers. 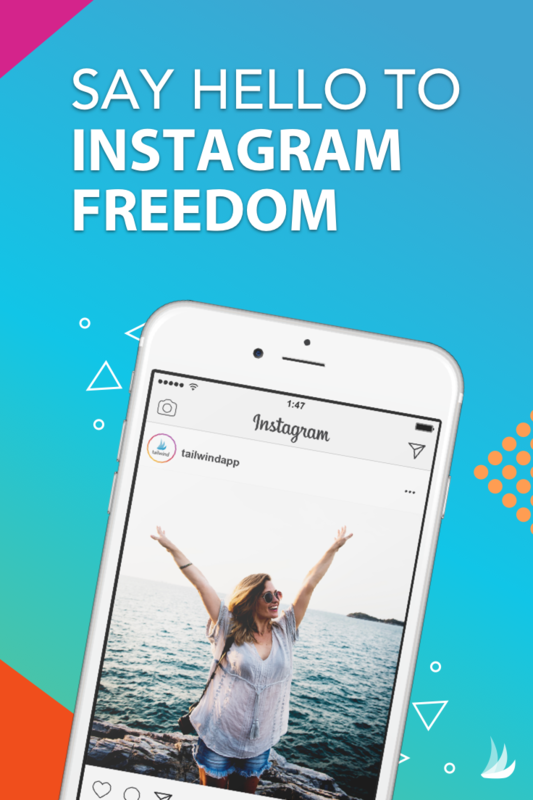 These days Instagram is very popular both with interaction with fans and also as a monetization option with sponsors. However, at least to me, Instagram seems to be one of the hardest social networks to grow. Facebook, Twitter, and Pinterest have been a lot easier for me to grow but Instagram is just different overall. Unless you have enough followers (10,000 as of writing this in October 2018), you can’t exactly directly link to your content to get traffic to your site. It can also be a bit tough to consistently get photos ready and find that sweet spot of not posting so often that you’re annoying and spammy but also not so little that no one knows you exist. I know that at one point I rarely even posted to Instagram because I couldn’t schedule to the network like you could with others. Plus it can be a bit confusing knowing which hashtags are best to use, not to mention all the time it takes to research them. That’s why I’m now using Tailwind for Instagram with Hashtag Finder 2.0. What Is Tailwind For Instagram? You may already be familiar with Tailwind as it’s the same platform known as one of the best Pinterest schedulers available. I use it every day and consider it to be one of the best investments for my site. Tailwind now also has a high-quality scheduler for Instagram. Tailwind for Instagram is pretty awesome because you can not only schedule posts to go out to Instagram but it will also auto-post them for you if you have an Instagram business account. This is a pretty new feature for Instagram to officially roll out with and you don’t have to worry about your account because Tailwind is a verified partner of both Instagram and Pinterest. 1. You can get a new selection of hashtags for every post, every time. This way you know you’re always using the latest hashtags. If you’re like me and post a variety of content you’ll also find the option to save a list of hashtags quite helpful. 2. Your hashtag suggestions will now appear and refresh as you type, even if you haven’t actually typed out any hashtags. 3. You can continue to find hashtags by shuffling them or quickly dismissing any hashtags that don’t quite fit what you’re looking to post. 4. You can hover over a hashtag to see how popular it is. If you didn’t already know you can currently only use 30 hashtags per post. This means you obviously want to use the hashtags that will get your post the most exposure. I love this feature because you can easily pick and choose the most popular hashtags. If you’re interested in giving Tailwind for Instagram a try just follow the link to sign up. You can also check out the video below to see the hashtag finder in action. I hope they’ll add a similar tool for Pinterest hashtags soon! I've been using Tailwind for Instagram for my last handful of posts and I have to say I'm impressed. I've definitely gotten more engagement including likes and comments. I've also gotten more followers. For a long time, I felt like I would never be able to really grow my Instagram account. Now I really look forward to finishing my own trial period and definitely plan to go with the plus plan if my current results keep going as they have been! Check out Smart Savvy Living on Instagram and give us a follow. We love meeting new people to follow and interact with!